Yeah for Friday! 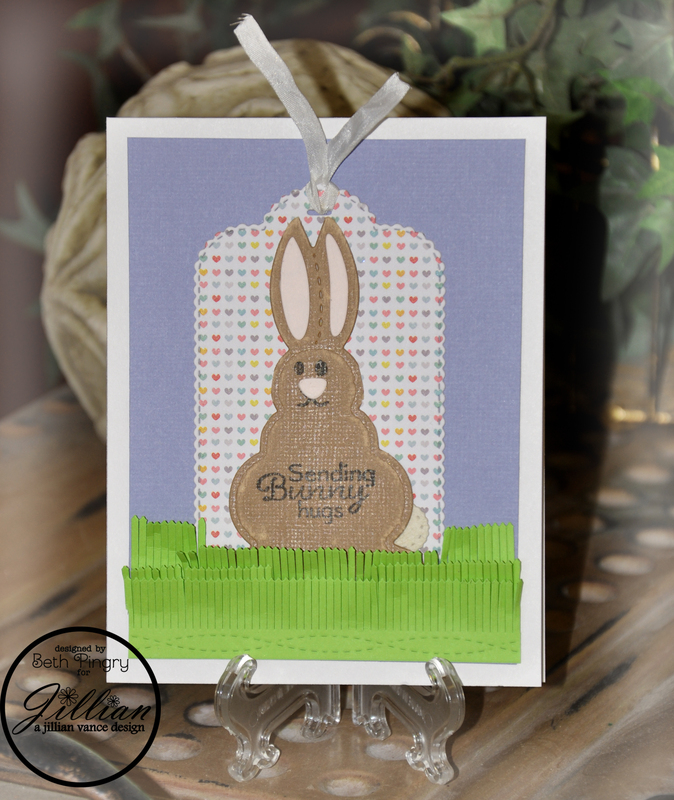 This morning I have a post at A Jillian Vance Design with this cute little Bunny Love die set and the Bunny Hugs stamp set. I die cut the bunny with Core’dinations cardstock and sanded it to show the embossed lines. More close up photos and details are on the Sending Bunny Hugs Card blog post. This entry was posted in A Jillian Vance Design, Card, Holidays, SCRAPBOOK ADHESIVES BY 3L and tagged a jillian vance design, Bunny, Card, Core'dinations, Pink Paislee, SCRAPBOOK ADHESIVES BY 3L. Bookmark the permalink. Been clicking around a bit. Loving your cards. So creative. I may have to try a couple of them out for myself. Stopping by from Bloggy Moms. 🙂 Have a great week. Isn’t he cute Beth! Love the fringe die grass. Such a super cute card!